At the bottom of the menu you will find the page you have created. You can move it withÂ drag & drop sequence.Â You canÂ "Drag" the page to the desired location by moving the pointer to this one andÂ "Drop" the object by releasing the button. 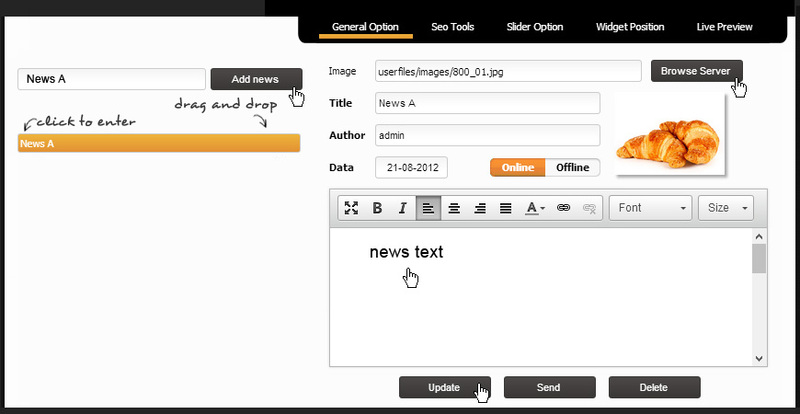 You can also set it as submenu of a page already created. Every news page can have an introductory text. After writing (or pasting) the text, click on SAVE..
to confirm click onÂ SAVE. 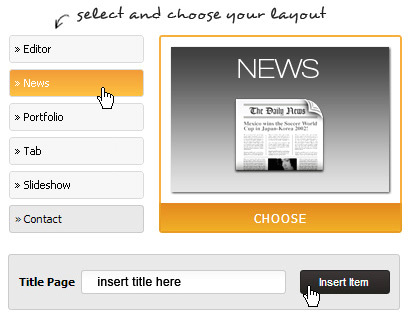 Select the user you want to send the news (as the image aboove shows: peter) or choose all user and select on SENDÂ NEWS button. Â ATTENTION:Â the system allows 30 send mail per day, to avoid being listed as spammer and being reported or insert into international black list.